Had you done a straw poll prior to Skerries home match against Belfast Harlequins last Saturday, you would have seen pundits and supporters alike predicting a high scoring match. But as we all know that’s what makes sport so entertaining, it’s the sheer unpredictability of the contest! What you can say with certainty is that Belfast Harlequins came to Holmpatrick with a drive and determination crucial for them in terms of league standing. Their defence was incredible and their insight into the game plan played by Skerries was spot on. Time and time again they repulsed the Skerries attack with greyhound like line speed and ferocious accuracy in the tackle. Skerries started the match playing into a stiff breeze and much of the early pressure came from the Belfast men. 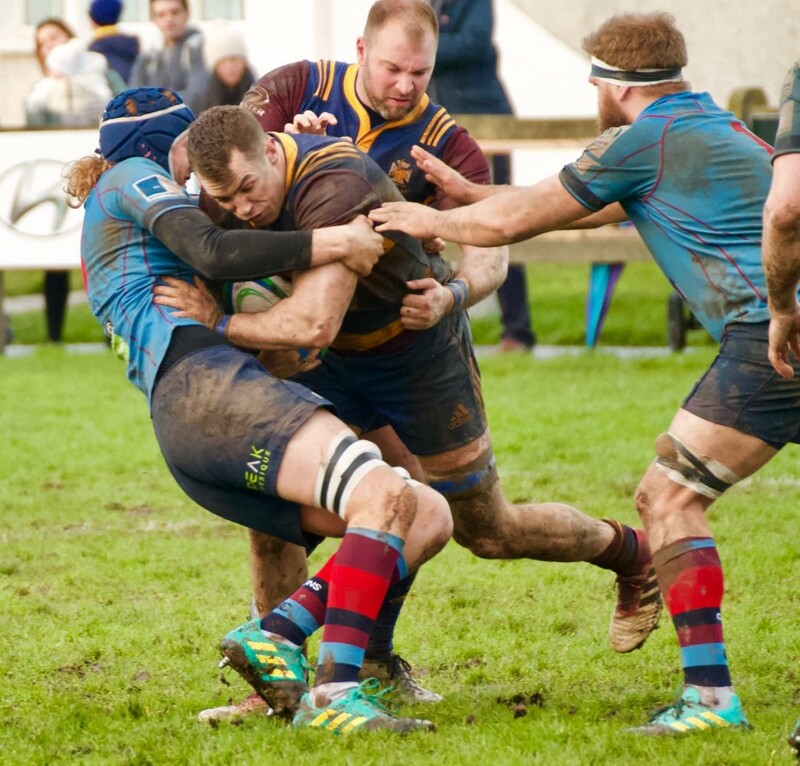 The visitors were rewarded after about ten minutes with a penalty when Skerries were caught offside at a ruck. Their centre Marc Gribben popped it over the bar to make it 0-3 to Quins. On 16 minutes, Skerries unfortunately missed a penalty opportunity which would have had them draw level. Harlequins had most of the possession for the remainder of the first half but conditions hampered the flow of the game and led to a number of mistakes from both sides. It became clear that the predictions of a high scoring encounter weren’t going to be realised on this occasion, a win no matter the score line was the main focus. Skerries lost winger Eddie O’Mahony to injury late in the first half and this was a big blow to their chances but ably replaced by Connor Lennox. At the start of the second half, expectations were high for an improvement from the home side and indeed they upped the ante and dominated for long periods. But simply, Harlequins never dipped which made it very difficult for Skerries to breakdown the Northern defence. Ten minutes into the half, Harlequins number eight, Ben Alexander, scored what proved to be the decisive try and score of the match. The try was not converted but it gave the visitors an 8-0 lead that they were never going to surrender. Skerries rallied and while there were some fine individual breaks by Eoghan Carron and Ben Jenkinson, the vital support was missing and the chances were not converted into scores. With five minutes left on the clock Skerries gave themselves real hope when flanker Michael Turvey went over for a try which was converted by out half Billy Mulcahy. The passage of play to the end was frenetic but Skerries could not manage another breech in the Harlequins defence and when they added a further penalty in the dying minutes of the match it wiped out any hope of a comeback. Final score was 7-11.